Hello! As you have probably guessed by the title of this blog, my name is Nina! I am in my first year at North Carolina State University, and I am a double major in Biology and Political Science with a minor in History. 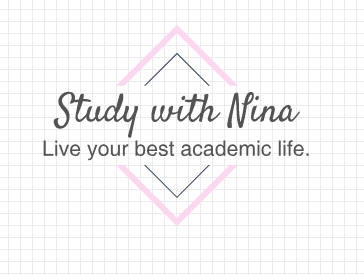 I am starting this blog to share the study tips and tricks I’ve found handy over the years, and to document my college experience for myself and anyone who is interested! Last spring (2018), I graduated from high school, as well as from community college with my A.S. and A.A. (thus, I plan to graduate from college a year early). In high school, I took many A.P. courses, including Biology (score: 5), English Language and Composition (5), Human Geography (5), Calculus BC (5), Environmental Science (4), and Statistics (4). Though I am now a year removed from my most recent A.P. exams, I may post some tips and tricks in the future for acing these exams, especially if there is a lot of interest. Having completed community college, I have also taken a wide range of general education courses, and so I can provide some advice on those as well. Outside of classes, I work as a peer tutor and a bookstore marketing and media ambassador. I also write for an online platform called Odyssey, where you can find more of my writing on subjects outside of studying (such as politics and relationships). In my free time, I enjoy reading (mainly classics and nonfiction) and writing/drawing in my bullet journal. If you have any questions, comments, or requests, be sure to fill out my contact form and I’ll get back to you ASAP! Be sure to follow my other social media, linked above, and stay tuned for my top study tips, tricks, and general advice on how to live your best college life.